Toss out the Take-Out Menus –Shrimp Spring Rolls are here! I was asked to review these and let me tell you–they are YUMMY! The SeaPak Shrimp Spring Rolls feature tender shrimp and crisp vegetables rolled in crunchy wrappers. These are amazing! They are packed full of shrimp that you can taste in every bite. The spring rolls don’t have to be fried — they can be baked in the oven and in about 15 minutes you have hot and delicious Shrimp Spring Rolls for an appetizer or dinner. They also come with a Thai Chili Dipping Sauce. This sauce has some kick to it and I really liked the added flavor. The Shrimp Spring Rolls can be purchased at Sam’s Club so be sure to pick up a pack the next time you are there. 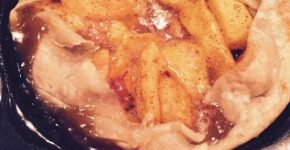 In a small bowl, whisk together the vinegar, oils and honey. Set aside. In a large mixing bowl, add slaw mix and onions. 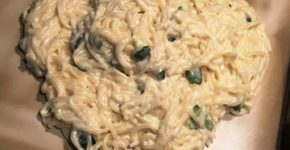 Break up noodles into slaw. Pour dressing over slaw mix and toss to coat. Cover and refrigerate at least 2 hours. Just beofre serving, stir sesame seeds into slaw. 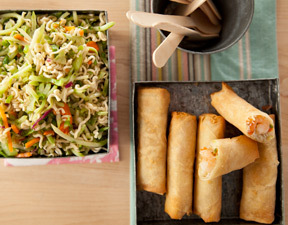 Bake the spring rolls and serve the slaw on the side with the warm spring rolls. And now for our GIVEAWAY!! The Sam’s Club membership will make shopping a breeze and the coupon organizer is a great way to keep up with the grocery list, coupons, recipe clips and more. You may do one or all of the tasks 00 evry task completed counts as an entry. Note: You must enter a comment at the end of this post for every task you complete. After you enter your comment in the box, just hit the post comment button and you are entered!! Each comment counts as one entry. 2. 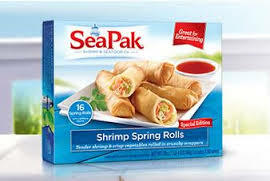 Tell me how you would use the SeaPak Shrimp Spring Rolls. Would you make the recipe in this post for Spring Rolls with Oriental Salad? …..How about the Spring Rolls with your favorite Fried Rice? Just tell us in the comment section how you would serve these delicious bites! 3. Subscribe to Make Life Special’s daily feed in the “News and Update” box at the top of this post. 4. Share this giveaway on your Facebook page, leave the link in the comment box. Note: SeaPak provided me with a box of SeaPak Shrimp Spring Rolls to sample for this review. No other compensation was received. They are also sponsoring this giveaway. I’d serve the egg rolls as an appetizer at a party! I would serve the SeaPak Shrimp Spring Rolls alongside shrimp and broccoli, which is what I enjoy making for my kids.